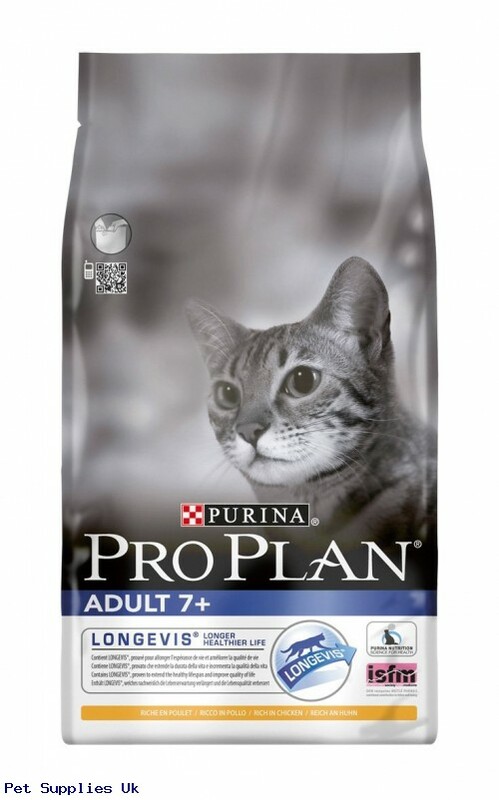 Formulated with LONGEVIS®, proven to help extend the healthy life and improve quality of life of cats aged 7 years and over. As your cat approaches the mature years, her nutritional needs change. The food you give at this stage of life can impact not only her well-being but also her longevity. Appetite and digestibility decrease, so it’s important to choose a food that is exceptionally palatable and digestible to encourage nutrient intake. Chicken (21%), rice (17%), maize gluten meal, dehydrated poultry protein, maize, animal fat, dried egg, maize starch, wheat gluten meal, digest, chicory root, minerals, soyabean oil, fish oil, beet pulp.